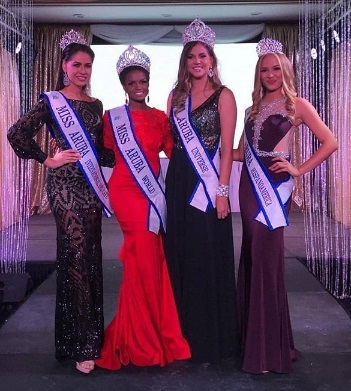 20-year-old Kimberly Julsing was crowned Miss Universe Aruba 2018 at a crowning ceremony held in Alhambra Ballroom, Divi Resorts in Oranjestad, Aruba on June 7, 2018. She was crowned by last year's winner Alina Mansur. Kimberly will go on to compete at the Miss Universe 2018 competition. Meanwhile, 23-year-old health advocate Nurianne Arias was crowned Miss World Aruba and is set to compete at the Miss World annual competition in China.